On December 1st, 2016 the final rule for the overtime laws in the Fair Labor Standards Act takes effect. The rule simplifies overtime laws and makes them easier for employers and employees to understand. Nannies, and other domestic workers, are non-exempt and protected under The Fair Labor Standards Act. Therefore, a nanny who works over 40 hours in a week is required to earn time and a half for those additional hours. For example, lets say a nanny works 45 hours a week and earns $617.50. Her hourly salary is $13/hr for the first 40 hours and $19.50 for the additional 5 hours worked that week. Watch the video for more information on nanny overtime pay and the Fair Labor Standards Act. Are you looking for satisfying professional work supporting parents in the St. Louis community? TLC is hiring a Recruiting and Hiring Specialist who will attract great applicants and perform in-depth interviews and screening of nannies and sitters for our busy agency. We are a small, friendly office that is always buzzing with interviews, client meetings, and exchange of ideas! Over the last 30 years, our agency has adapted and grown to keep up with the changing needs of working parents and savvy job-seekers. We are always looking for new ways to attract top talent, streamline hiring procedures, and keep our online image fresh and competitive. Our ideal applicant must be an organized, detail-oriented people person with great time management skills, and be proficient working with Microsoft Office, LinkedIn, Facebook advertising, and other online platforms for finding talent. • Attract candidates by using recruiting platforms & social media. • Act as a point of contact and build candidate relationships. • Plan and create recruiting videos for Youtube and other online media. • Sell the job opportunities to potential candidates. • Review candidates’ resumes and job applications. • Assess applicants’ relevant knowledge, skills, soft skills, and experience. • Promote company’s reputation as an attractive agency. • Proven work experience recruiting and hiring. • Proficiency with Social Media: Facebook, Linked-In, Youtube, and Instagram, etc. • Familiarity with applicant management systems and CRM systems. • Excellent communication, interpersonal, and decision-making skills. • Experience working as part of a team in a fast-paced and busy office. • Desire to make a multi-year commitment (3 or more years). • Health insurance, paid vacation, 401K and paid holidays. • A fast-paced working environment where success is rewarded and celebrated! • Work remotely from home when needed. • A family-owned business with a 30 year track record. • Work independently and with a team of positive people. We truly value our employees and want to set them up for success, so there will be at least a 3-month training period for our new employee. To apply, please send updated resume and cover letter tailored to this position to: Debbie@tlcforkids.com. Hiring a nanny is an important decision and one that should be given a lot of thought. When hiring a nanny you are finding someone whose primary responsibility is the care and nurturing of your young children. This is a person from whom your children will grow to love and respect. You and your children should feel comfortable with and accept this person as part of your home environment. 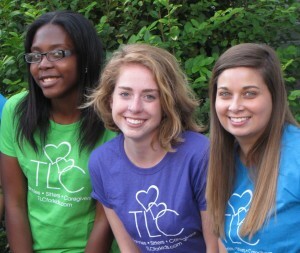 TLC for Kids has been helping St. Louis families hire nannies for over thirty years. Our expert placement counselors will guide you through the hiring process. To learn more about hiring a TLC for Kids nanny visit our website or give us a call at 314-725-5660. If you are looking for a nanny in South Florida call our Miami office at 305-256-5905.